Do you follow a newspaper tipster? I'm guessing a large part of the betting public do, whether that be a regular tabloid tipster or a specialist newspaper tipster, which these days means one of the Racing Post columns. I've just been looking at the Racing Post Naps Tables and Tipster Challenge Tables. In the Press Challenge which pays a first prize of £2,000 to the top tipster at the end of the year there are only twelve entries. Two of those are The Favourite and Top Course Trainer, which I guess are included to give some context to the tipster performance but probably also to make yp the numbers! The Press Challenge table is also interesting for the data that it doesnt include as much as it is for what is presented. It is a year long competition and each tipster starts with a £1,000 starting bank and one pound is staked on each tip. The tipster with the biggest bank at the end of the year wins the prize, but the table doesnt show the size of those yearly banks in the table. IE we don't know what loss has been made so far this year by each tipster. If anybody has these tables from the printed Racing Post from the last day of each month so we could build up an annual figure that would be useful? So what do we get? 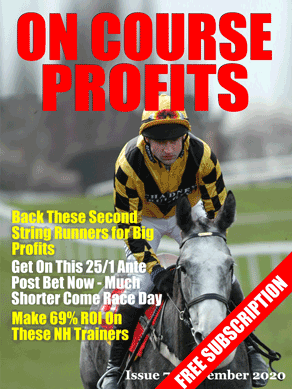 For the annual stats all we get is the number of tips and the number of winners and a strike rate. Favourites have won 36% of races this year. I don't quite understand the turnover column but I'm guessing it means how many races the tipster bets on and that the favourites are less than 100% because of joint favourites etc. If anybody knows different then please let me know in the comments. The Suns Templegate has a 27% strike rate but only selects 48% favourites. We get profit and loss facts about Naps, which I assume is for the month and that shows Templegate Naps at + 9 points, the negative figures from other tipsters are not big enough for this to be the year to date figures. Where we get the most info is in the month to date. This month favourites are winning with + 28.81 from 403 bets, not great but this is at industry SP and as it's favourites we would expect them to return a loss in line with the average over-round. So favourites are over performing this month, so far! The only other tipster in profit this month is Patrick Weaver from The Star who is +6.44 from 382 bets. Interestingly Top Course Trainer shows a big loss for the month and a terrible strike rate for the year. I'm going to make a note to collect the tables at the end of each month to see if we can glean anything worthwhile from them in the future. There’s racing at Pontefract this afternoon, so today I have an update on how the draw bias is panning out so far this year. As you will recall from previous articles at Pontefract we bet all stall 2 horses over all distances. There have been 9 meetings this year and using this strategy would have seen you win at 6 of those meetings. There have been sixteen winners at..
That’s a 81% return on investment! Here’s the output from HorseRaceBase for all stall 2 runners at Pontefract in 2014. I don’t know how long this situation will last, but here are the figures for the last three years. Prior to 2011 this was a losing strategy! Finally I don't like to add price restrictions to my systems because it is just factoring in other peoples biases, but it's worth noting that there's only been one winner at 22/1 or bigger and that if you exclude those horses that start at 22/1 or bigger the 2014 ROI goes up to 105%! Those are the facts, I’ll leave it to you to decide what to do with them.